Money from a Sen. Toni Atkins law that provides a funding stream for affordable housing is beginning to roll in, consumer advocates are urging caution on crafting digital privacy protections and more in our weekly roundup of news from Sacramento. State Treasurer Fiona Ma wants her office to play a more proactive role in addressing the state’s housing shortage, and she’s exploring how it can help. On Thursday, the former Democratic assemblywoman visited San Diego where about 60 developers, financiers and government staffers gathered to offer feedback to Ma and her team. 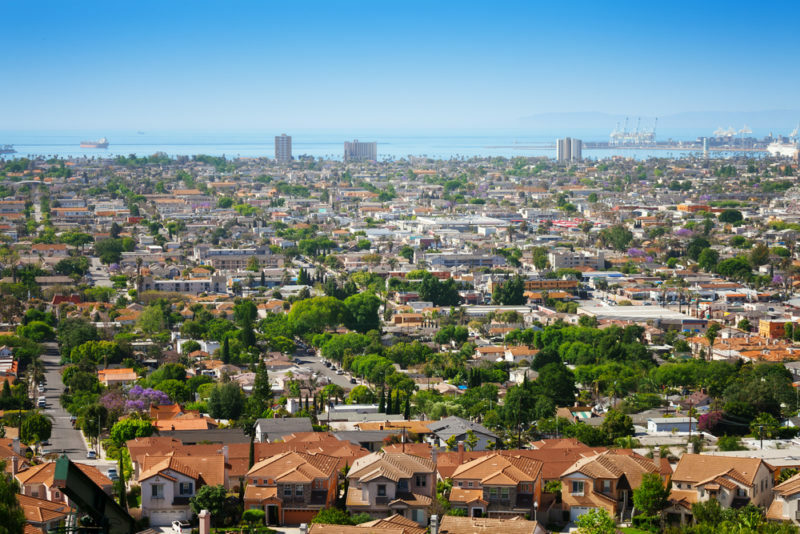 “We want to see where the gaps are in housing and incentivize builders to build,” said Ma, who is holding similar meetings in Los Angeles, Sacramento and Fresno. Attendees of the San Diego listening tour including Michael McSweeney of the Building Industry Association and affordable housing developer William Leach offered suggestions on studying state mandates that can slow development and issues with state tax credit programs Ma’s office helps deliver. The tax credits help finance thousands of affordable housing units each year. In response, Ma and Deputy Treasurer Jovan Agee, who oversees the treasurer’s housing and economic development efforts, revealed some of their plans. Ma and Agee said they are exploring how the treasurer’s office could help pilot subsidized housing developments that incorporate food co-ops or preschools rather than traditional retail, and are looking at changing some aspects of the current tax credit application process. As state treasurer, Ma leads the two state tax credit committees that dole out funding for affordable housing projects. Ma said she has held off on hiring an executive director to run the two committees because wanted to first hear feedback on the programs from developers in San Diego and elsewhere. Ma said she’s also considering combining the two roles and committees to further simplify the process for developers. “We want to be part of the solution and not part of the problem,” Ma said. Before Ma’s San Diego pit stop, the California Debt Limit Allocation Committee she chairs made another move to direct more resources toward new housing. The committee unanimously voted to raise the 2019 state bond cap by $2.1 million and to invest 65 percent of the bond cap in affordable housing projects and another 8 percent to home loans for first-time buyers. Cash is starting to flow from SB 2, San Diego Sen. Toni Atkins’ signature 2017 effort to create a reliable funding source for affordable housing. Atkins’ bill tacked a $75 fee on certain real-estate filings and has been expected to pull in $250 million annually for housing projects and state housing programs. In its first year, though, collections are set to support homelessness programs and community plan updates. Atkins’ office reported this week that San Diego’s Regional Task Force on the Homeless, which coordinates the countywide homelessness response, will receive $2.5 million in SB 2 money to aid with rental assistance, operating support for shelters and other homelessness initiatives. San Diego County received the second largest allocation in the state, which reflects its position as the region home to the nation’s fourth largest homeless population and the second largest in the state. Only Los Angeles, which has a larger homeless population, received more cash. The state has also recently doled out funding to combat homelessness to cities including San Diego following a budget deal Atkins helped broker last June. Atkins’ office said the second round of SB 2 funding for community planning efforts will come later this year. The state Senate will no longer be led by two women from the San Diego area. Senate Republicans have elected Sen. Shannon Grove of Bakersfield as their new leader, replacing Sen. Pat Bates, who represents portions of northern San Diego and southern Orange County. Grove was the first woman veteran elected to the Legislature, and will be the third woman to serve in the role. Democrats in the state Senate will continue to be led by Senate President Pro Tem Toni Atkins. Another San Diego County woman also has a leadership role in the Legislature: Assemblywoman Marie Waldron of Escondido is the Assembly Republican leader. California Passed a Massive Consumer Privacy Law. Now Comes the Hard Part. The Facebook-Cambridge Analytica scandal last year demonstrated one of the more egregious ways in which people’s personal information can be harvested online and monetized. When it became clear, a few weeks later, that there was an appetite in the public for stronger digital protections and that a November ballot measure was likely to pass, California lawmakers leapt into action. Within days, they unanimously passed and signed into law one of the most ambitious pro-privacy efforts in the country. Now comes the hard part: writing the regulations in a way that respects the spirit and intention of the California Consumer Privacy Act, which by all accounts needs some work. Timothy Blood, a San Diego consumer advocate, urged members of the California attorney general’s privacy unit Monday to “go slow” and craft broad rules that can be tested and tweaked if problems arise. “You can always go back and change a regulation,” he said in San Marcos, at one of several public forums scheduled across the state. Notifications to California consumers about their new rights needed to be “conspicuous,” he said, so they understand how to take action. Draft rules are expected in the fall, and starting in 2020, large businesses — with more than $25 million in annual revenue or that derive 50 percent of their money from selling consumer data — will have to comply. Under the CCPA, Californians have a right to know how their personal information is being used and a right to opt out of the information-gathering process. Most notably, a business must delete the data it harvests if a consumer says so. Privacy activists say the CCPA was well-intentioned, but flawed. For instance, the San Francisco-based Electronic Frontier Foundation argues that the law gives no meaningful recourse for people whose rights have been violated by a business. Although there are financial reasons to explain why the tech and marketing industries would lobby against stronger privacy protections in both Europe and the United States, the California rulemaking process gives them a chance to influence officials in a way that a ballot measure never could. Passage of the CCPA was in their interest. A couple speakers Monday asked the regulators to craft narrower rules and definitions and to make certain distinctions. For instance, Christopher Oswald, a government relations executive at the Association of National Advertisers, urged regulators to give consumers the ability to pick and choose which types of data they’d like to delete, rather than an “all or nothing” approach. Politico examined how business groups have pivoted to protect their interests in California, where Democrats have more power than ever.